UAE based German Mirror Lubricants and Greases is a premium manufacturer of lubricants. The company has been catering to the needs of the engine, gear and transmission lubrication requirements of automotive, industrial, and marine industries for 17 years now. 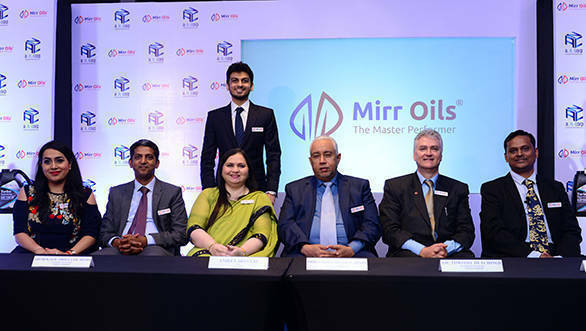 The company recently announced its foray in the Indian market with the premium range of Mirr Oils that will be distributed by A N Corp that is a part of R S Jhaveri Group. The lubricant manufacturer has already announced that it plans to cover west, south and east regions which includes eight states such as Maharashtra, Gujarat, Madhya Pradesh, Goa, Karnataka, Kerala, Tamil Nadu, West Bengal and Odisha. This will be then followed by addition of eight more states by June 2018. 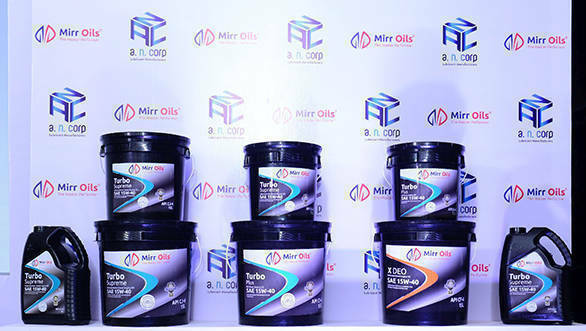 In addition to its existing range, German Mirror Lubricants will adding gear oils, specialty fluids, passenger car motor oil, gasoline engine oils and heavy duty diesel engine oil. The company mentions that all products are made from 100 percent virgin premium bases oils and additives. The Indian lubricant business will reach 2.3 million metric tonnes by the end of March 2019 and German Mirror plans to have a 0.5 percent market share of it. The company already has a global presence in five continents and more than seventy countries. It also has an OEM approval from popular automobile manufacturers like Porsche, Daimler, Volvo, Cummins, Volkswagen, MAN. After attaining a sizeable scale in distribution, the company is evaluating market conditions to set up a lubricant oil blending plant in near future. Nehal Jhaveri, CFO  AN Corp, Abubeker Abdulatif Hindi – general manager, German Mirror, Nishita Jhaveri, chairwoman, Mohammed Hussein Hindi, managing director, German Mirror, Dr. Timothy Hutchings, technical manager, German Mirror, Kiran Hebbalkar, marketing and sales manager, German Mirror. “India is the third largest market in the world after China and USA with six per cent global market share. In addition, India has the potential to be in top two as the domestic lubricant market has grown by 13 per cent vis-à- vis 2013 in spite of global slowdown in last couple of years.” commented, Mohammed Hussein Hindi, managing director, German Mirror Lubricants and Greases.